How Many Years Does It Take to Become a Life Coach? 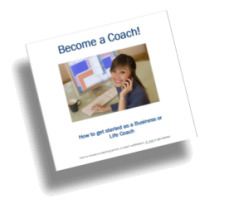 This question gets asked a lot online, in one form or another: "How long does it take to become a life coach?" And that makes sense, because it's an important question to ask if you're thinking about becoming a business or life coach, but it probably means different things to different people. What are the best ways to learn to coach? How many years of school are needed to become a coach? How to make money as a coach? How long does it take to get a full coaching practice? How long does it take to become a certified coach? How long does it take to achieve coaching success? 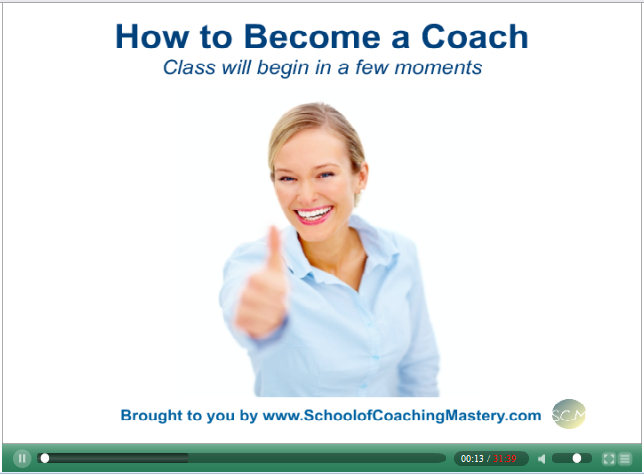 How long does it take to become a masterful coach? Each of these questions has a different answer and every coach has a different experience, but here are a few basics, if you're wondering about becoming a coach. Here's what you need to know: How quickly you learn the skills you need to become a successful coach depends on your level of personal development and how much time you spend actually coaching. If you haven't done your personal development work (It takes a lot more than just reading some self-help books), your "stuff" will get in the way and you will learn more slowly. And in addition to personal development, you need to be coaching everyday in order to become a good coach. How long it takes for you to make a living as a coach, depends on how much money you need to live on and how skilled you are at building a business. Here's what you need to know: No business is profitable on Day One, so if you need money right away, get a part-time job to supplement your coaching income, at least for a while. That extra job will be part of your support system that carries you to success. Also, most people cut living expenses to a minimum, while they're building a new business. It can take anywhere from a few months to a few years to support yourself with your coaching business and with an extra income and low expenses, you'll avoid the kind of desperation that sends potential clients running. The result? You'll be able to support yourself sooner with coaching. The length of time it takes to get a full coaching practice is anywhere from three months to five years. Here's what you need to know: Most coaches take at least several months to fill a coaching practice, even with an effective strategy like Coach 100. Without an effective strategy, it can take several years - or never. If you're new to running your own business, or you don't understand marketing and sales, or worse yet, you think marketing and sales are slimy, it will take you longer than if you have a good business background. Make sure your coach training gives you the business skills you need to be successful with your coaching business and if you're uncomfortable with marketing and sales, work with a mentor coach, who can help you develop an authentic approach to building coaching success. How long it takes to become a certified coach, depends on the certification and how diligently you work toward it. Here's what you need to know: Coach training programs that claim to train and certify you in a few hours, or even a few days, are probably not respectable. The most recognized certifying organization is the ICF. Make sure your training is approved by that organization and know that most coaches take a several months to several years to get certified. You won't be surprised when I tell you that how long it takes to become good at coaching depends a lot on the coach. Here's what you need to know: There are many factors that go into the quality of an individual coach's skill. They include, your aptitude for coaching, your communication skills, your level of personal development, your faith in the coaching process, the quality and amount of coach training you've had, the amount of time you have actually spent coaching, whether or not you're getting feedback on your coaching, etc. But one thing is clear: The sooner you start, the sooner you'll master the skills you need to build a successful business and start transforming lives. What are you waiting for? Watch the recorded version of our free 'Become a Coach' webinar and learn the keys to building a successful coaching business as quickly as possible.